Kashmir is one of the best tourist destinations in India. Due to its pleasant weather throughout the year, the place is an ideal choice for any season. If sightseeing can be better enjoyed during the summer season when the climate is mild, winter in Kashmir is for the snow lovers and those who would love to feel the chilling weather here. This paradise on earth is snow-filled during this season, with a dip in temperature. Ensure that you are prepared to visit one of the coldest places in winter, and take necessary precautions to enjoy your trip better. Some of you are still sceptical about this trip, aren't you? Here is why you should spend your winter in Kashmir! When you have such a beautiful place in India to visit for the snow-capped mountains and the spine-chilling weather, why do we have to even think anything outside? You can have the best, experience at Kashmir, at affordable rates. As winters are not considered the peak season for tourism, the hotels and other stay options can be availed at lowest rates during this season. This also means that you can enjoy luxury stay at budget rates. How better can a vacation get?! Kashmir is a home to some of the best dishes you would ever taste in India. From the hot steaming Kashmiri Pulao to the Kehva and the juicy kebabs, the place has to offer some of the best dishes that can be enjoyed the best during winter. Are you a shutter bug? Take your camera and take great pictures which may not really require any editing, as nature itself would make the images attractive. Explore your passion for photography! 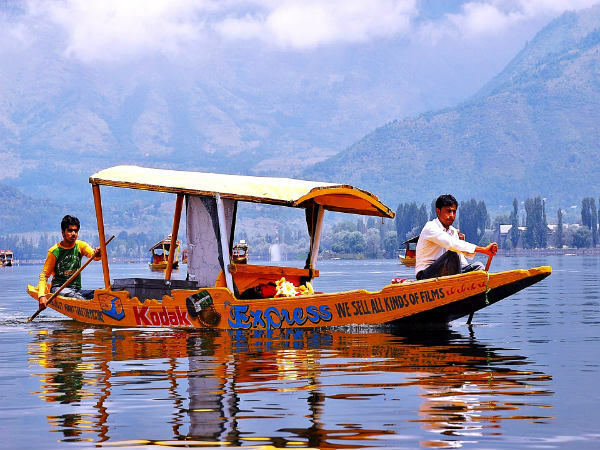 Dal Lake is one of the best attractions in Kashmir which is usually crowded with tourists during summer season. If you're here during winter, you can enjoy the beauty of this serene lake and take long rides in the shikharas. It would be a great experience if you choose to stay at a boathouse here, as you can enjoy hearing the ripples and the chirping of birds through the day. When you have all these reasons to visit Kashmir in winter, what are you waiting for? Pack your bags and get ready for one of the best journeys of the year!